“Taking Design Games Seriously: Re-connecting Situated Power Relations of People and Materials” is the title of a full paper that was presented at the Participatory Design Conference in Namibia in October 2014. 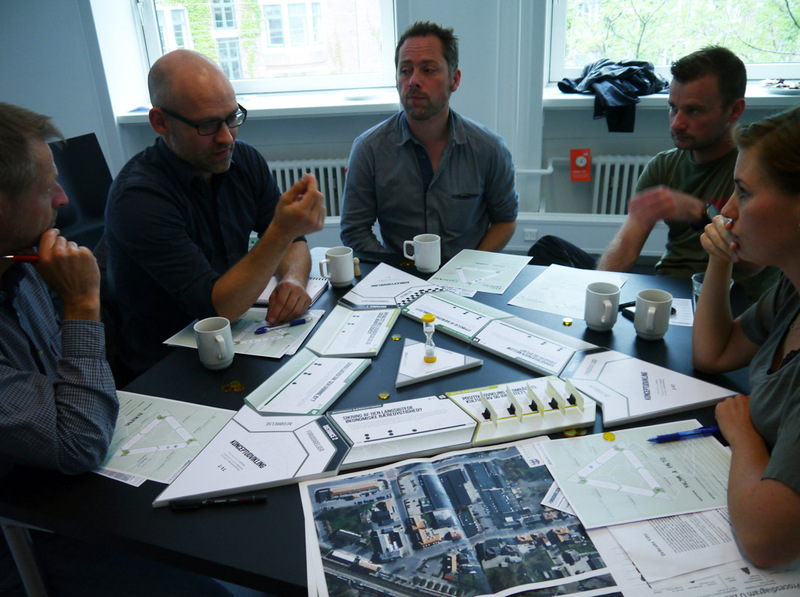 Using design games at Participatory Design (PD) events is well acknowledged as a fruitful way of staging participation. As PD researchers, we have many such experiences, and we have argued that design games connect participants and promote equalizing power relations. However, in this paper, we will (self) critically re-connect and reflect on how people (humans) and materials (non-humans) continually participate and intertwine in various power relations in design game situations. The analysis is of detailed situated actions with one of our recent games, UrbanTransition. Core concepts mainly from Bruno Latour’s work on Actor-Network-Theory are applied. The aim is to take design games seriously by e.g. exploring how assemblages of humans and non-humans are intertwined in tacitly-but-tactically staging participation, and opening up for or hindering negotiations and decision-making, thus starting to relate research on various PD techniques and power issues more directly. The paper is co-written by Mette Agger Eriksen (Sweden), Eva Brandt (DK), Tuuli Mattelmäki (Finland) and Kirsikka Vaajakallio (Finland).